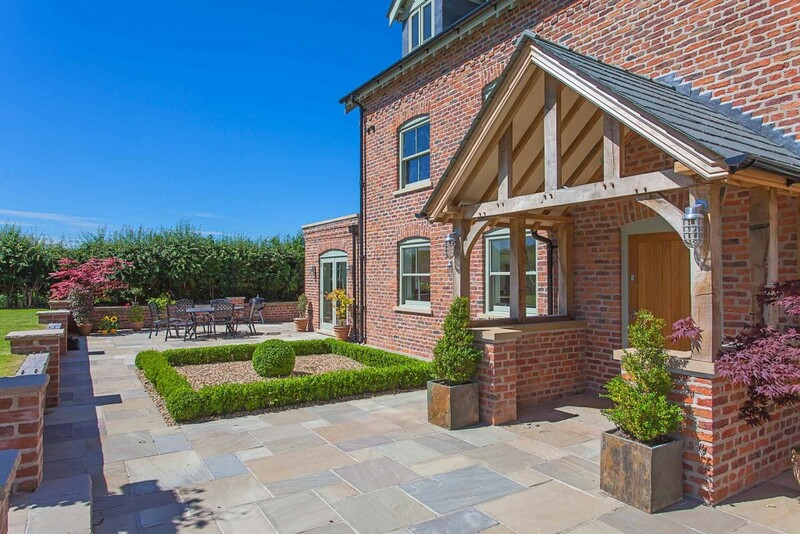 Blackhill Farm is located on the outskirts of Knutsford and is another development that remains close to our Directors’ hearts – even after every home was sold. 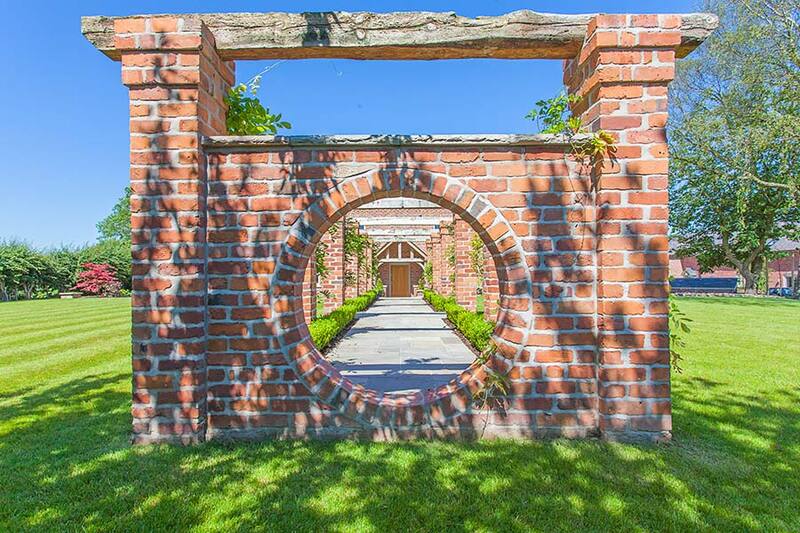 The L-shaped barn is subdivided into stunning adjoining houses with a separate, dramatic farmhouse. 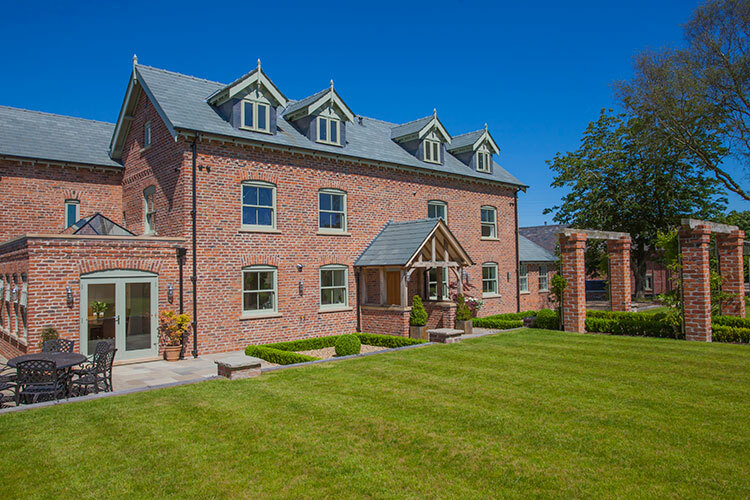 Every single window in the Blackhill Farm development looks out over the breathtaking Cheshire landscape, including the bespoke one we created for our residents in the private courtyard. 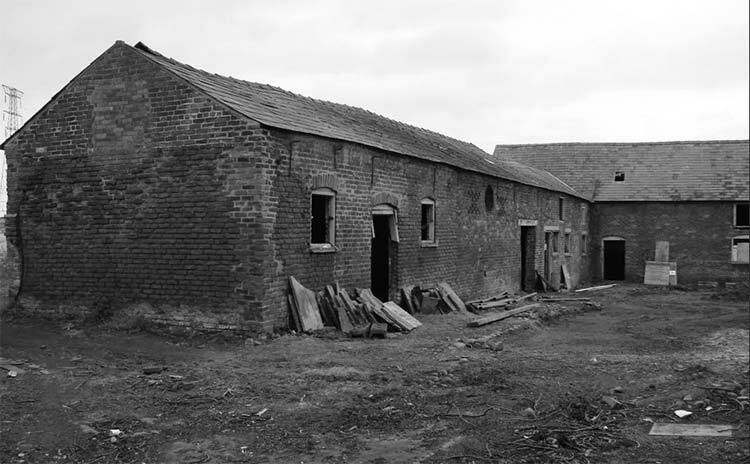 Blackhill Farm was, like all of our developments, originally a working farm; great care was taken throughout our renovation programme to ensure that its identity and idiosyncrasies were preserved and enhanced through state of the art building techniques. 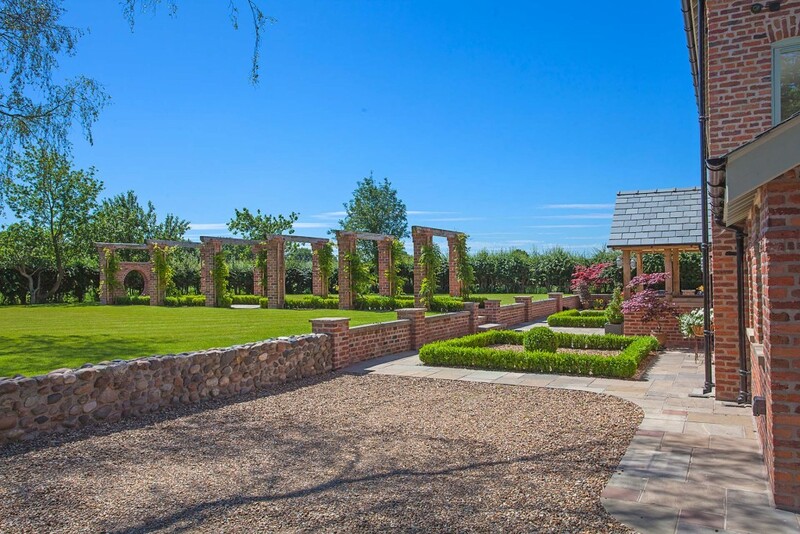 Residents approach the development through electric gates and a secluded gravel driveway, giving each home ample parking space. 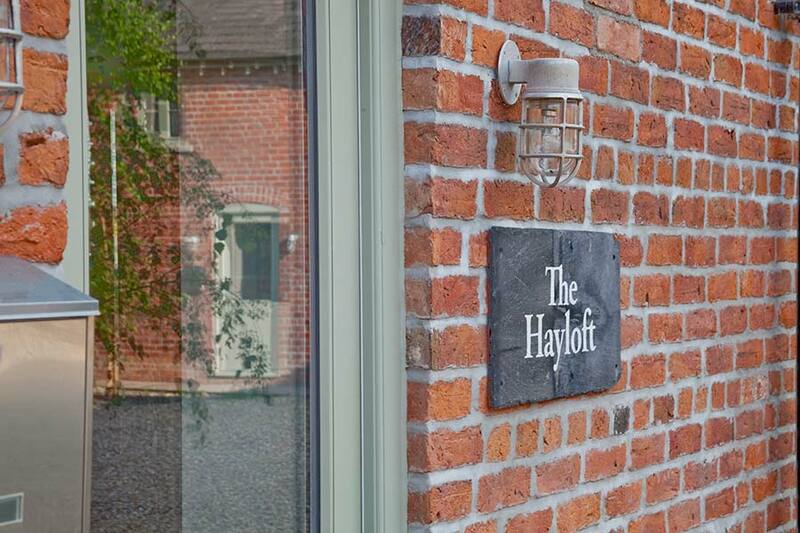 The farmhouse itself offers a staggering 4,500 square feet of accommodation over three floors, and is built from pristine Cheshire brick beneath a roof of beautifully reclaimed slates. 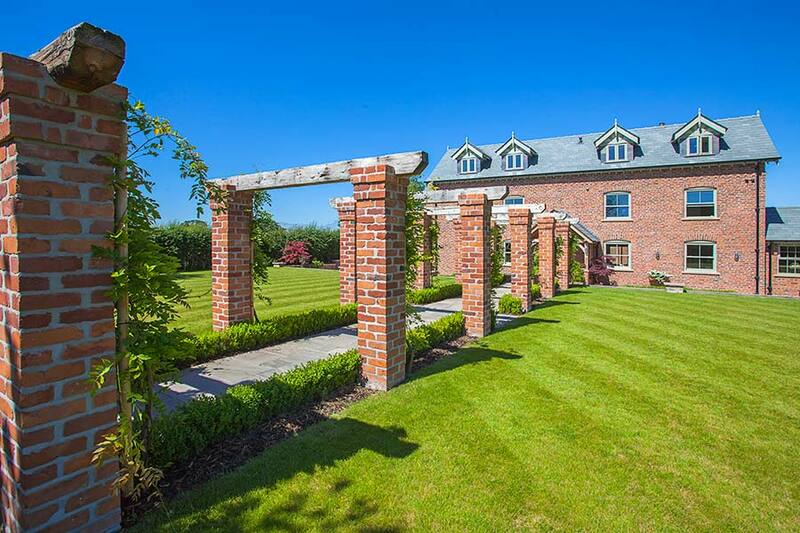 A detached studio or workshop sits in a small paddock adjacent to the main house. 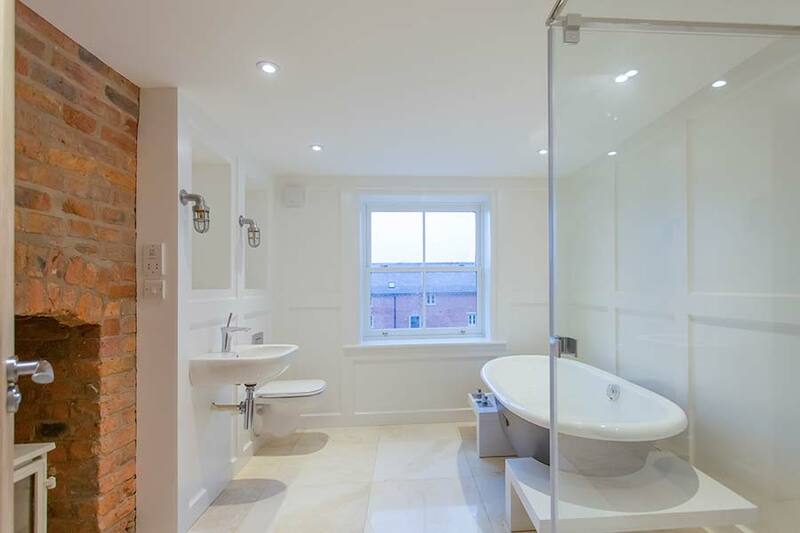 We and our partners spared no expense in finishing this imposing space to the finest technical and aesthetic standards. 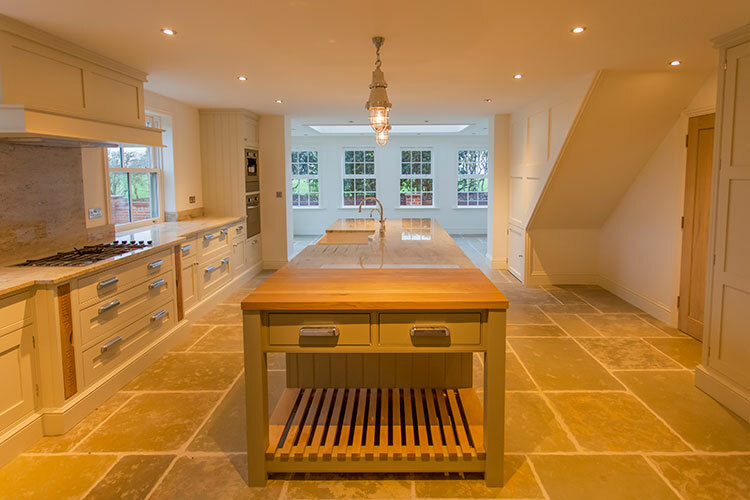 A culinarian’s dream, the bespoke kitchen was built and fitted by Knutsford firm Sheerin Bespoke, offset by marble and travertine tiling, a French limestone floor, and accentuated by Kitchenaid appliances and high-end sanitary ware. Similarly unique is the library, with Edward Loxley furniture in oak – a wood also used for all flooring on the spacious ground floor. 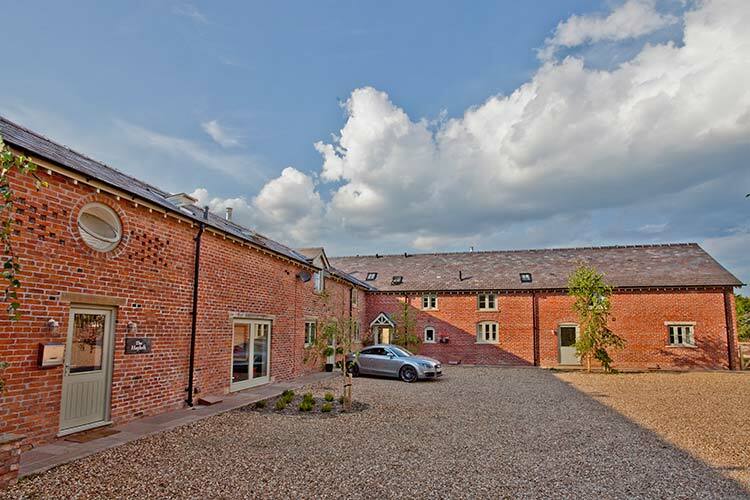 In keeping with the attention to detail and convenience throughout all of the Blackhill properties, the Farmhouse is wired for CAT 5 (wired ethernet) connection and television in all rooms, with a comprehensive CCTV system. 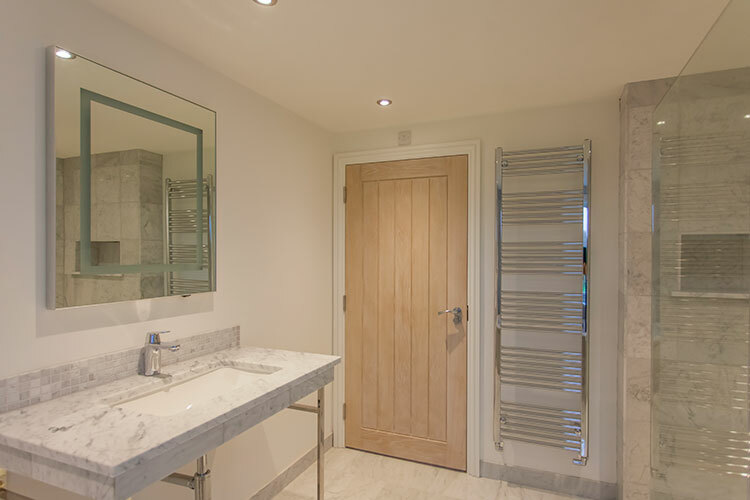 Discrete temperature controls in each room communicate with the environmentally sound gas fired central heating system, with climate control also accessible via a smartphone or tablet application. 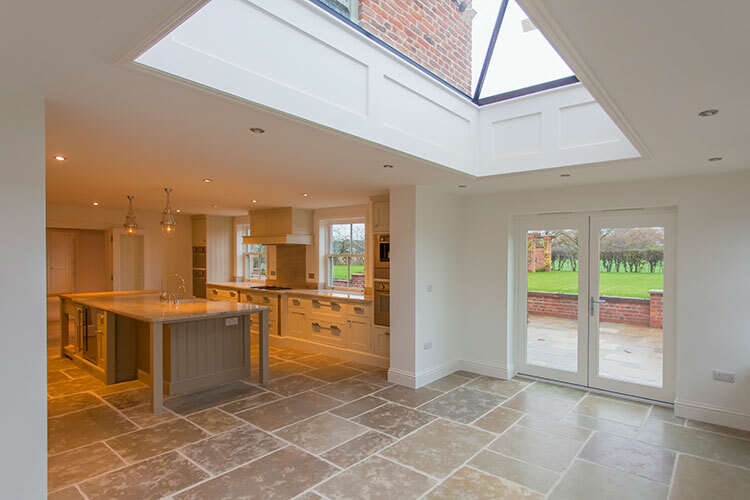 We built with luxury in mind from the beginning, and Blackhill Farm stands today as not only a small development of luxurious, characterful homes, but also a testament to our methods of creating sympathetic, sumptuous buildings that enhance everything they touch. Blackhill Farm is situated a short drive from the motorway (hidden among the lush farmland surroundings) and a stroll from the boutiques, cafes and high society offerings that unite the development with its sister sites at The Old Dairy and Sudlow Fruit Farm. 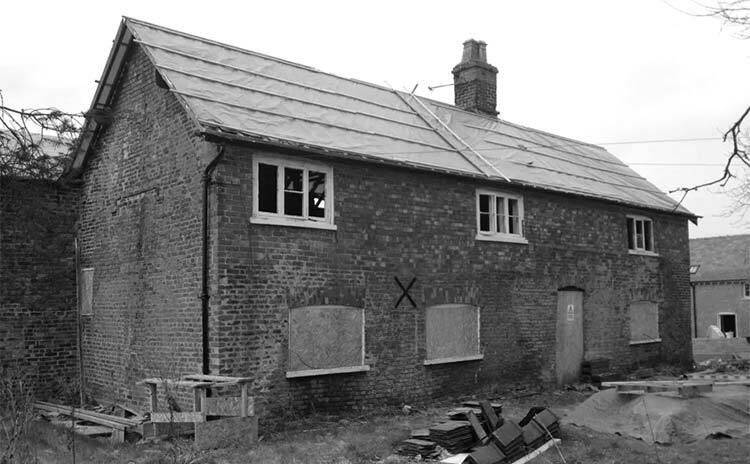 Although Blackhill had once been a working farm, unlike our other developments it had fallen into disrepair and required extremely sensitive renovation in order for its character to remain intact in the final build. 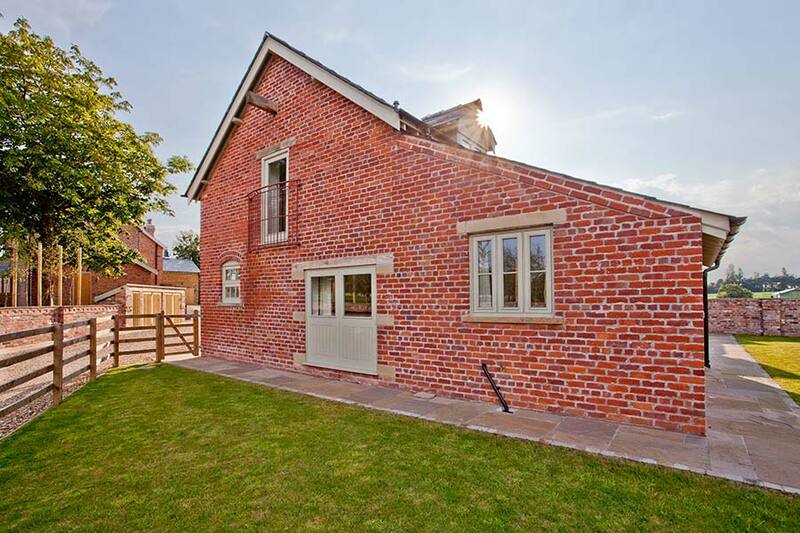 Below are just a couple of examples of the sheer scope of the change the farmhouse and barns at Blackhill underwent.